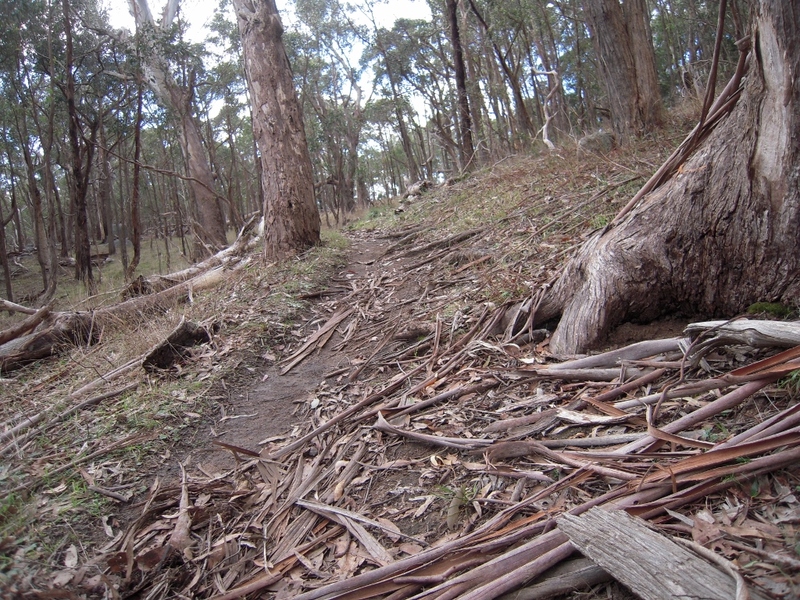 A proposal is currently being developed to put a mountain bike track in the Hancock pine plantation on the western side of Mount Alexander. FOBIF is not opposed to this idea. Mountain biking is an activity with many health benefits, and there is some potential–as yet undefined–for economic spin offs in the form of tourism to the Harcourt area. We are, however, keen that any track design should minimise the possibility that the activity will spill over into the present boundaries of the Mt Alexander Regional Park. Photos are in circulation suggesting that a track in the plantation could be linked to the Leanganook picnic area. And some illegal riding takes place already: videos can be seen on Youtube of riders using walking tracks on the Mount. Such riding is capable of causing serious erosion on the steep western slopes, and of straying onto precious moss beds on the eastern side. FOBIF is keen to be engaged in any plans which might have an effect on the Mount. At present the concept development for the plantation, led by Goldfields Tourism, seems to be in capable hands: but this mountain, being one of the most beautiful and dramatic natural features in the region, could be put under pressure if this project is pushed through without all appropriate knowledge, care and resources.